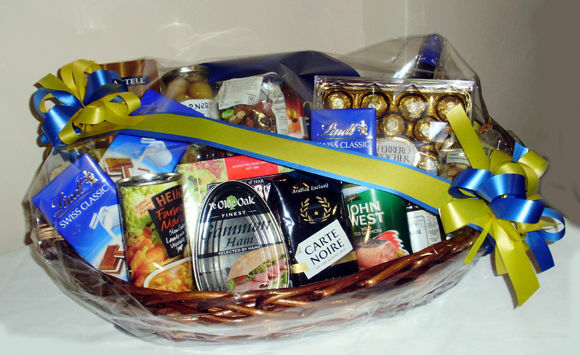 Extra large luxury hamper in wicker basket wrapped in cellophane and decorated with colour ribbon of your choice. Makes an excellent gift or presentation award. * We can make up any size to suit your pocket - please ask.